Style Wire Goes to the Auto Show! 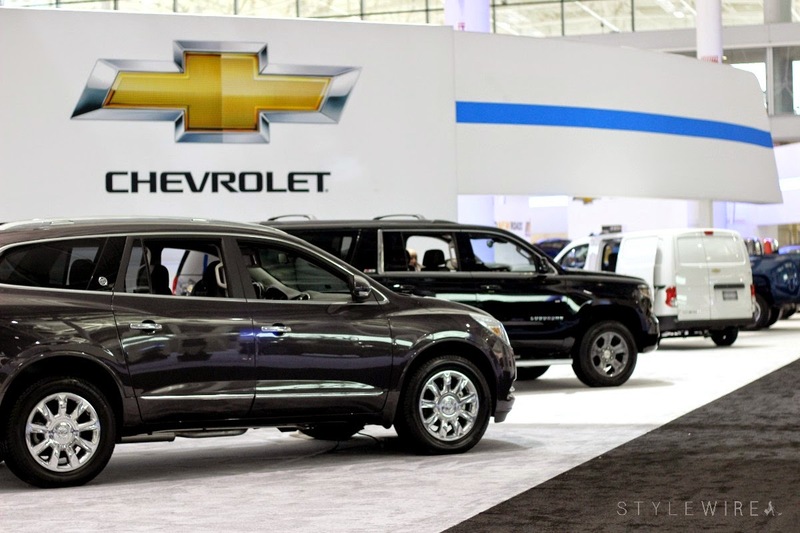 When I received an invitation to the New England Auto Show from SheBuysCars and Chevrolet I was a little confused; I can't parallel park, I lost my drivers license last August and have yet to replace it, and I know little about the things beyond how to pump gas and change a tire. However, since I started working at South Shore Plaza mall and have had the pleasure of taking suburban buses everyday, I've been considering purchasing a car. The Auto Show seemed like the perfect place to learn about what's new on the market and sit in some shiny new cars! It was truly an amazing day with some seriously inspiring women in the auto and design industry! 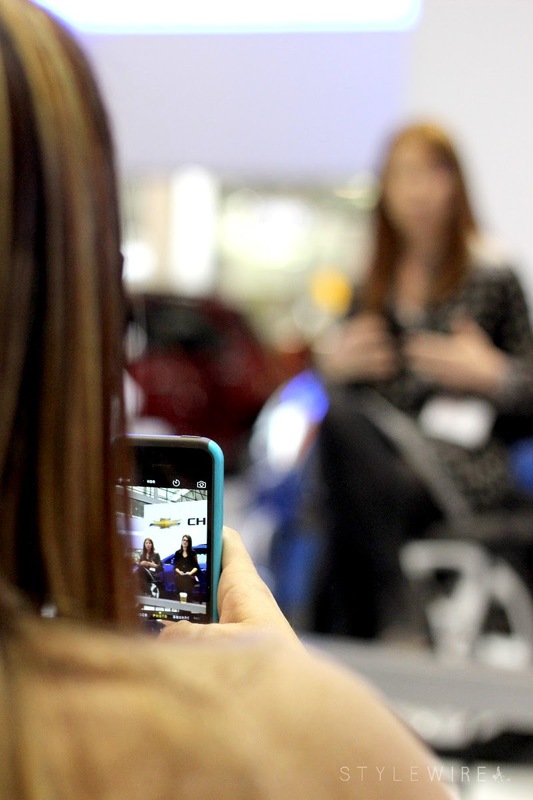 Did you know women influence nearly 85% of auto purchases? Women have a powerful voice in the auto industry and the group of women we met that day were just the tip of the iceberg. 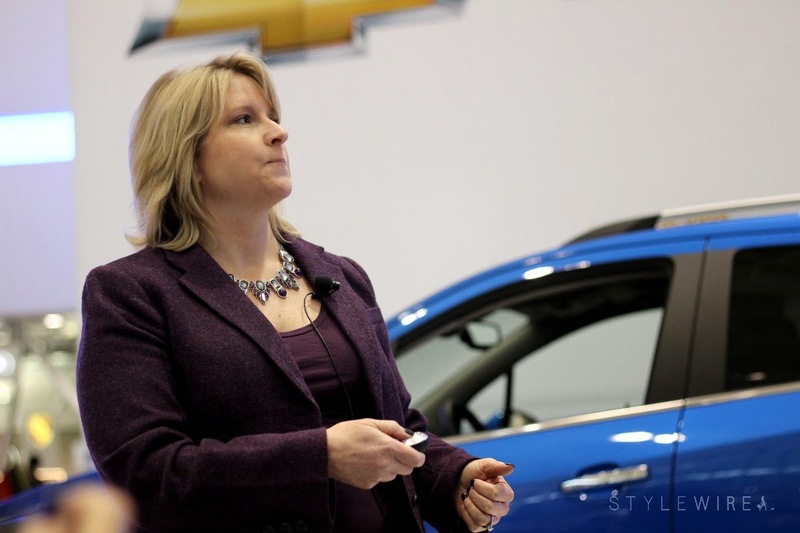 We heard from Kim Carpenter one of General Motors Communication Managers, Betsy Flegg who is a Marketing Manager for Chevrolet Crossovers (pictured below), the co-founder of SheBuysCars, Scotty Reiss, and more. 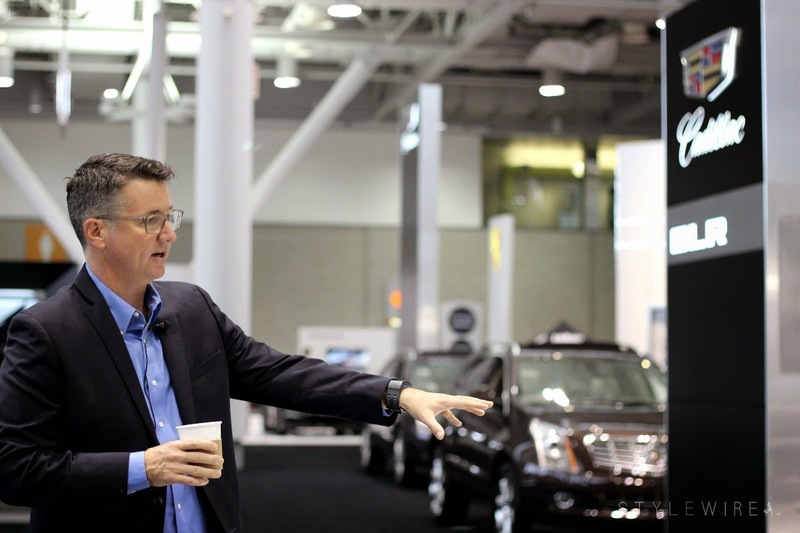 We sat in on two different panels as well as a press conference about the Chevy Trax, and went on a guided tour of the Auto Show with James Bell, Head of Consumer Affairs at General Motors (also pictured below). Post-show I was feeling pretty darn good about the basics of buying a car and what to look for when shopping for a new car. I spent some time on the SheBuysCars site browsing the plethora of articles they have online. It's a great resource for anyone shopping for a new car with the latest news and recalls, as well as safety and technology features. Scotty really knows her stuff and it was truly a privilege to spend the day with her and the other women making waves at GM and Chevrolet! 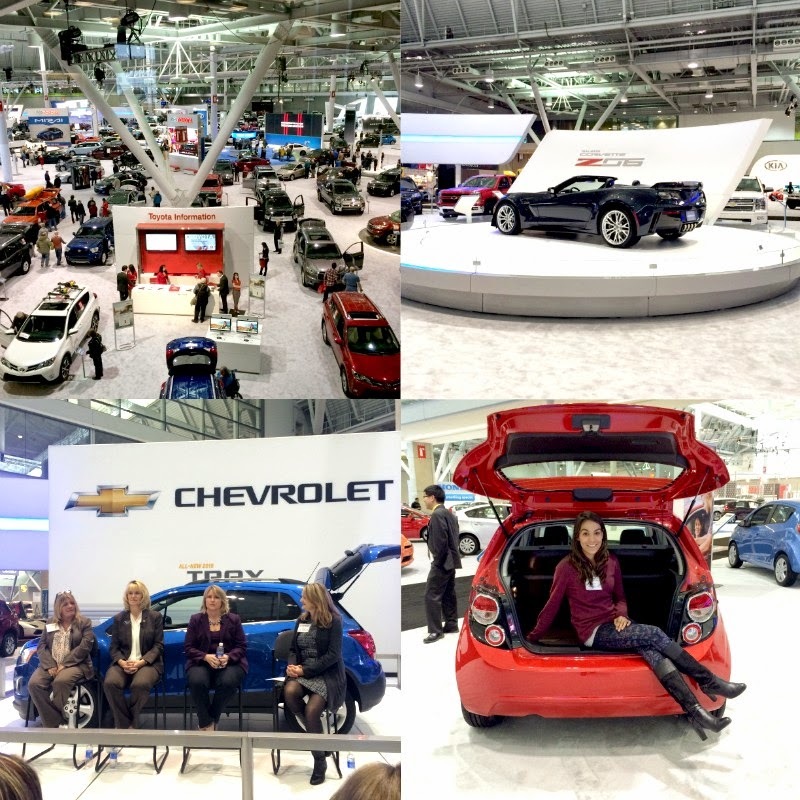 Special thanks to SheBuysCars and Chevrolet for sponsoring this post and hosting my day at the New England Auto Show. All opinions expressed are my own. Thanks for supporting those who support Style-Wire.com.